Another week begins, and therefore we have the European Nintendo Download Update details to consider. This week brings notable retail releases on both Wii U and 3DS, along with a surprising DS Virtual Console arrive and a particularly promising Nindie release. There are some varied choices beyond that, too, so let's get to the details. Typoman (Headup Games, €13.99 / £9.99 or €11.49 / £8.49 until 19th December with E3 [email protected] demo on same system) - Kicking off as a Wii U exclusive, this is an intriguing puzzle platformer in which you create words in order to get past hazards and make progress. There was encouragement to be found in the [email protected] demo, so we'll dig out our Thesaurus and write up a review. Ninja Strike: Dangerous Dash (Natsume, €5.99 / £4.99) - This is a rather basic action title which sees you running through levels collecting treasures and taking out bad guys; we were left unimpressed in our Ninja Strike: Dangerous Dash review. 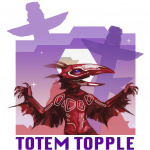 Totem Topple (Crystalline Green, €2.99 / £1.99) - This budget title sounds rather intriguing, as you combine totem building with elements of tower defence, while totem heads of varying designs have a different effect against attacking creatures. There are Classic and Frantic modes, and we'll build up a review soon. Animal Crossing: Wild World (Nintendo, €9.99 / £8.99) - With Animal Crossing: amiibo Festival arriving in stores on 20th November, the DS entry will remind players of the traditional AC experience on the Wii U eShop. This is a charming entry that we enjoyed in our original review, though this download version won't include online or multiplayer features. 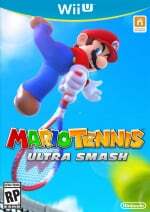 Mario Tennis: Ultra Smash (Nintendo, €49.99 / £39.99) - The latest entry in this particular sporting series sees Mario and company take to the court in all their HD glory. Mega Mushrooms and bigger jump shots make their appearances, along with the ability to level up an amiibo buddy for doubles play, though we were left underwhelmed by the content on offer in our preview. We'll have thoughts on the online play and more in our full review, soon. Available from 20th November. Copy of Mario Tennis free with all download purchases until 17th December. Johnny's Payday Panic (Office Create, €3.99/ £2.99) - Effectively Capitalism: The Game, you work a menial job in the food industry in order to earn money and buy fancy things; this happens through what looks like a series of frantic minigames. Apparently your wage goes up and down depending on performance and the boss can call you in at any time - even though it's breaking every employment law under the sun we'll get working on a review. Nintendo Presents: New Style Boutique 2 - Fashion Forward (Nintendo, €39.99 / £34.99) - The second series entry on 3DS finally makes its way to the West; this one expands on its predecessor with new career paths and tasks, while amiibo support is included for unlocking some quirky outfits. We'll strut our stuff and bring you a review soon. Available from 20th November. That's everything for this week's Nintendo Download Update in Europe - let us know what you plan to pick up in the poll and comments below. I think this is the first week in a long time I can honestly say there's nothing that I would get at all. I was hoping Mario Tennis would be 40€. The game better offer more than that. @shaneoh You and me both. "Stone Shire (Finger Gun Games, €1.00 / £1.00...)"
I'll take Typoman. The demo already seemed to be very promising. I'm still unsure whether I'll end up with Mario Tennis Ultra Smash so right now, I'm going to say I'm getting nothing. The Splatoon amiibo restock has got me busy with Splatoon so I may leave Ultra Smash for Christmas list. Mario Tennis for me,the lack of modes doesn't really bother me so as long as the online holds up I'll be happy.Looking forward to the NL review which I would guess will be coming tonight? "This is a charming entry that we enjoyed in our original review, though this download version won't include online or multiplayer features." Which makes it completely worthless. Animal Crossing is all about connecting with friends and having fun derping around each other's towns in my opinion. Just another slap in the face for everyone who expected /wanted a new AC game on Wii U.
Shame we have to wait for Stella Glow, Mario Tennis looks pretty dull to me and as much as Typoman seems unique I feel there are just too many indie platformers around at the moment. Typoman is certainly tempting, but so is AC: Wild World which I never got to play. Managed to get Mario Tennis retail for £22 with some discounts I had, so happy with the game at that price. Might get Typoman, haven't played but did download the demo so may give it a shot. Never played Wild World as I vowed off of AC after the GameCube as it ruined my chance of playing many games instead (safe to say I broke that with New Leaf and 200 hrs later...), however, am not one for playing DS on WiiU. An animal crossing for Xmas is a good idea. No online features is typically and disappointingly Nintendoesque. Is it that hard to patch some in? I'm surprised at the official price,I gathered it would be the same as Splatoon. It seems a bit much for what they're offering.Never mind,I'll be buying it digitally from Gamesrocket for £25.95..
@superKsonic48 It is there, just locked behind Ultra Smash digital. @paul6891 It's missing because it's only available physically. I'm pretty sure you'll be able to get the retail version for 35-40€. I'm currently in the middle of my Typoman review. Guys, get it. Huh? Where is Amiibo Festival and the N64 Mario Tennis VC releases? I was hoping they'd have put all there tennis games on discount like they did Kirby. Oh welll. And make these polls multiple choice already. I wonder what week has had the the highest nothing week! 57% seem quite average. @GLA Amiibo Festival is physical only and N64 Mario Tennis is only obtainable when you buy the digital version of Ultra Smash. "What will you be downloading first this week?" 'First'. There is no multiple choice on that. So AC festival is not coming to the e shop?! Ultra Smash pricing of £39.99 smacks of "Well, we're not giving them anything else to buy this Christmas, so why don't we squeeze the ****as for everything we can get". Typoman is intriguing. I'll pay it a closer look at some point if it reviews well. So that just leaves me with New Style Boutique 2 - I loves a good haircut sim me! Typoman's demo during E3 was awesome. It's cool to see such innovative platformer games coming to Wii U, and it's even an exclusive. Wait, don't you have to have someone locally or online visit your town in ACWW in order to unlock the last Tom Nook upgrade? So will players have to settle with the 2nd best upgrade forever or will Nintendo have edited that unlock? Stupid, stupid, stupid, stupid, stupid, stupid, stupid move to release Wild World on the eShop, when City Folk/Let's Go To The City would have fared much better on a home console (and is essentially the SAME GAME!). I'm keen on New Style Boutique 2 (my GOTY =P), Mario Tennis: Ultra Smash and Animal Crossing: Amiibo Festival. I'm going to have to wait on some of these though, especially since the amiibo figurines AND the cards will cost a fortune. A bit puzzled by the AC release on DS VC but then again, I've just started playing New Leaf on 3DS and it's an addictive game. Might get it eventually but not a priority right now. 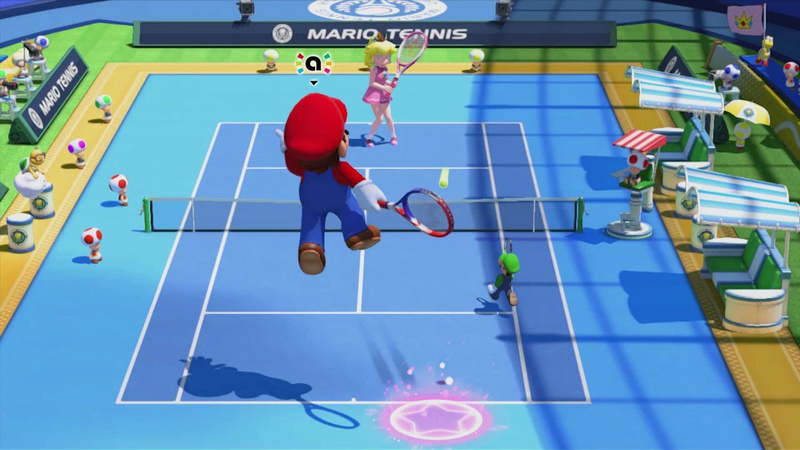 Mario Tennis is a must buy for me, Toadette and Boo being playable has won it over for me. Getting AC:Amiibo Festival with 5 amiibos aswell which is also coming out this week but isn't downloadable. 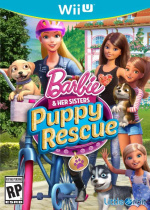 Despite that game not receiving a warm welcome at E3, I like the concept and I'm a fan of local 4 player games which are a dying breed these days. I'm happy that Nintendo can still bring a few games of this type every year . NSB2 for my daughter, and Phantom Hourglass and Spirit Tracks for me. Amiibo Festival is a maybe, I still just don't know what the game is about after watching a dozen of trailers and previews. But we would like to collect those cute cards... Do they have a better use in Happy Home Designer? Typoman for sure and Mario tennis physical copy for me. Awful week, but that's okay as I'm neck-deep in Xenoblade Chronicles right now. Typoman had an interesting premise and the demo was decent. But I am just not desperate to play it. I'll wait until that point comes or pick it up when it's on sale in preparation for that point. Looking at my past, I rarely ever feel desperate to play download titles. I dont really get the release of AC - Wild World without creating a workaround for the missing online components. I can't possibly say no to Wild World. Lack of the original online features doesn't really bother me as long as I have Miiverse. The insistence on releasing all these VC games on Wii U rather than 3DS is annoying though. To those who voted for Mario Tennis: Ultra Smash, what's wrong with you? I voted for nothing this week. 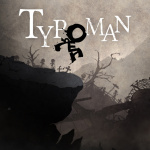 I like the look of Typoman but there's no reviews yet. And even with the 15% discount I think the game is too expensive. If it reviews well and when it goes down to about €7 then I'll buy it. @ThomasBW84 and friends should include/merge physical/DL on the poll to better gauge which readers are going to buy. "Nothing this week" seems no one's buying anything. That's an exaggeration. I'd buy it for 40€ day one digitally but not for 50€. It'll have to wait a little bit. New Style Boutique 2 doesn't get released until Thursday? Maybe it'll be a very surprise download title for NA, then? Is everyone HYPE for some Mario Tennis!? I hope AC:WW comes to North America, too; I never used the online features anyway. It was always a single-player experience for me. Typoman, absolutely! Apparently, they have fixed the only issue I had with the E3 demo. I'll definitely get typoman for 11,49€, the rest doesn't interest me. animal crossing wild world omg!! There's your AC game for Wii U, folks! @BaffleBlend I hope it gets here too. However, I won't be positive about that. Several Wii virtual console games have not gotten here yet (but are already in Europe), as well as several DS games (DS Fire Emblem, Zelda Phantom Hourglass, Zelda Spirit Tracks). Let's hope AC:WW doesn't add to that list. They should patch Wild World to be compatible with Nintendo network even hackers can do this. @Moon 15-love , to you sir! An awful selection this week for the 3DS. I'm getting used to it by now though, Nintendo seem to have an aversion to actually wanting to make money. All these people saying there's nothing good this week clearly never played the first New Style Boutique. Fantastic game. Looking for a visual of the Totem theme, I came across a website offering free 3ds themes in exchange for a FB like. You then get asked to fill in all sorts of bogus surveys etc. I did put the address here, but I think people will be dumb enough to try it, so have removed it. Pretty sure this is a phishing/other scam site and god knows where the FB likes go to - could be anywhere. There's no such group on Facebook. Be very wary. Has to be dodgy. They just want to clog up your inbox with spam or get access to your personal details to wipe out your bank account. No such thing as free in the wider world of the internet. @Sakura it looks fake, you need register your phone to downloa, it doesn´t seem right to me. Are you a bot? No data packs for Xenoblade Chronicles X?